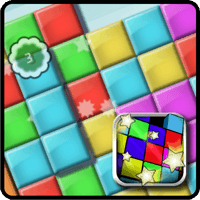 Stylish, Addictive puzzle action – this is not your ordinary match 3! If you are bored of traditional mindless match 3 games, bored of swapping random coloured tiles, then you need to play Seaglass! From the makers of Mos Speedrun, the awesome retro action game, comes Seaglass. This game gives you more control than most – you’ll start off by simply matching 3 colours, but soon, you’ll learn to set up huge, exciting chain reactions. The bigger the chain, the bigger your bonus. There are two play modes and loads of extra graphics to unlock, not to mention game centre high score tables and trophies!